REFFLEX® Polyamide (“Nylon”) flexible hose 130 bar for CO2 (R744) - Refflex International B.V.
REFFLEX® introduces flexible hoses for carbon dioxide in trans-critical systems. The specific application of CO2 in transcritical plants requires a different solution compared with “traditional” REFFLEX® hoses. Upon special request, compressor manufacturers may supply their products with relevant 6-mm plain tube compression fittings, as required for HP- and LP measure, control and for oil return. 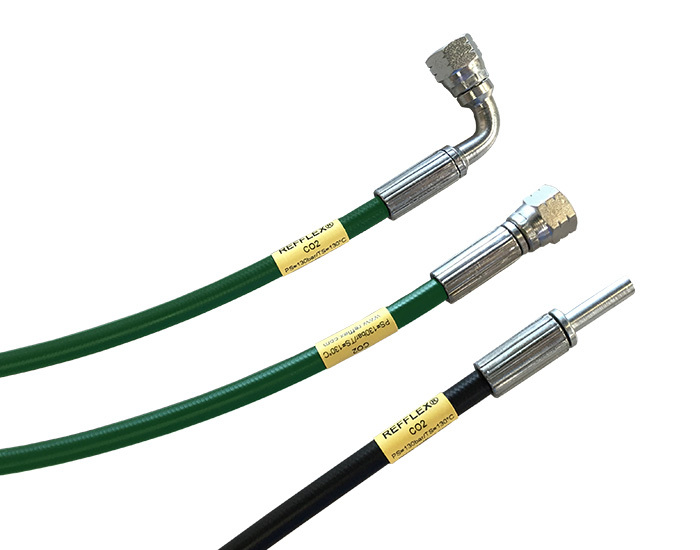 These prefabricated hoses can be used in subcritical systems as well.